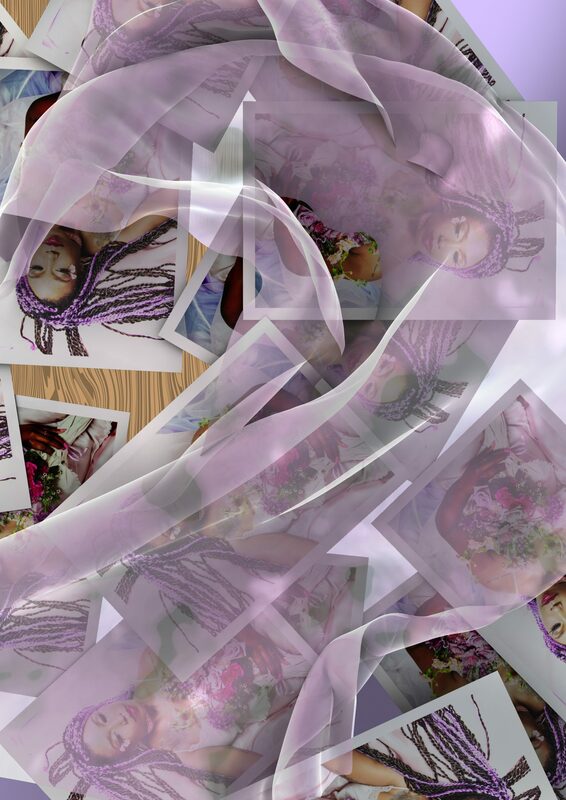 Decedent silks in pink and purple hues, flawless makeup, dewy, glowing skin, and pretty flowers adorn the album art of MHYSA’s fantasii. 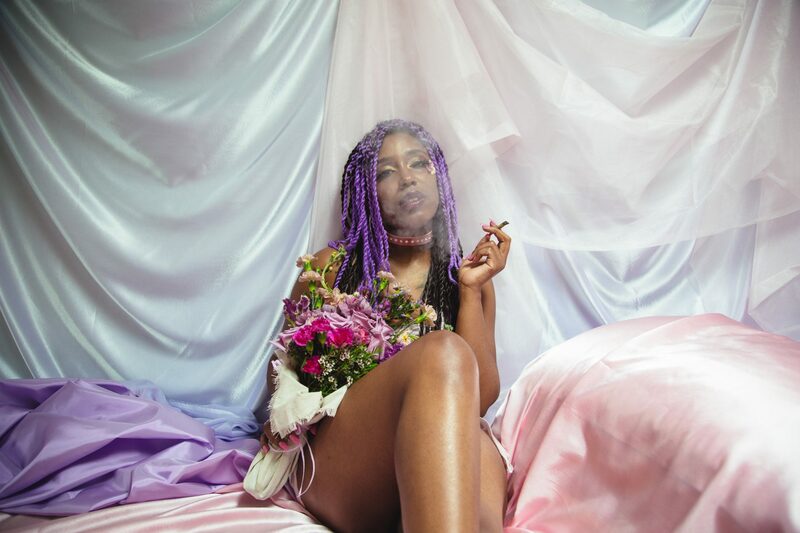 Brought to life on stage in a feathery soft outfit that struts, shimmers and shouts, the debut from the ‘Queer Black Diva and underground popstar for the cyber resistance’ graced nearly all of 2017’s ‘Album of the Year’ lists. 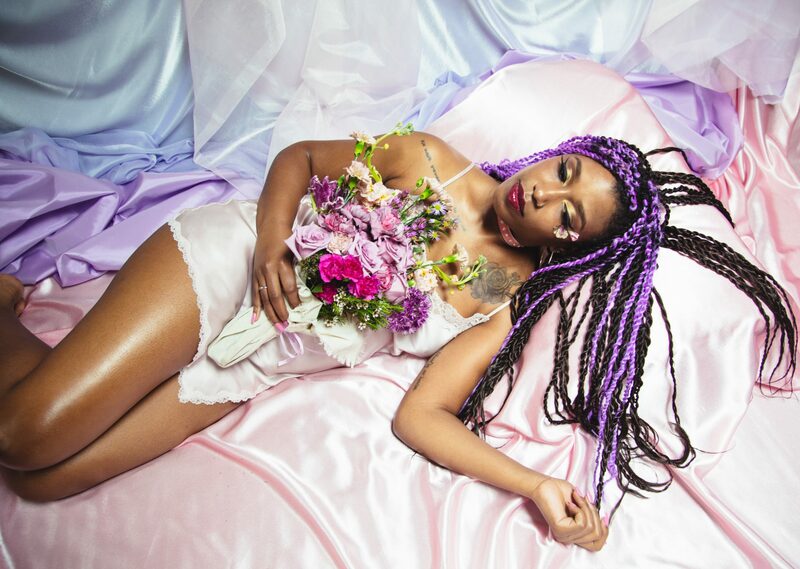 And rightly so, its queer R&B is saturated in satin soft vocals that twists into shreds of screams. 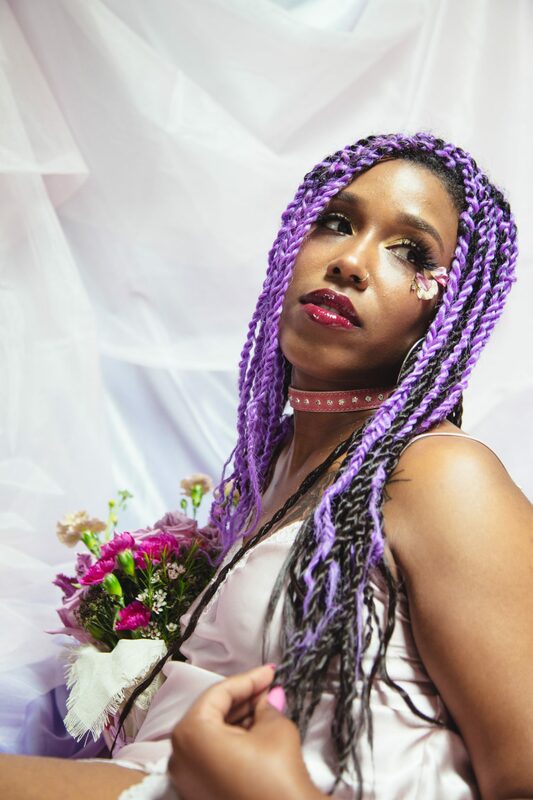 MHYSA is the pop star alter ego of E. Jane, a Philadelphia-based artist with interests in desire, futurity and safety, all which have heavy political and cultural relevance in the context of blackness and womanhood. Over a late night phone call we talk about divas, Whitney Houston, and the need to will in an impossible but necessary future. 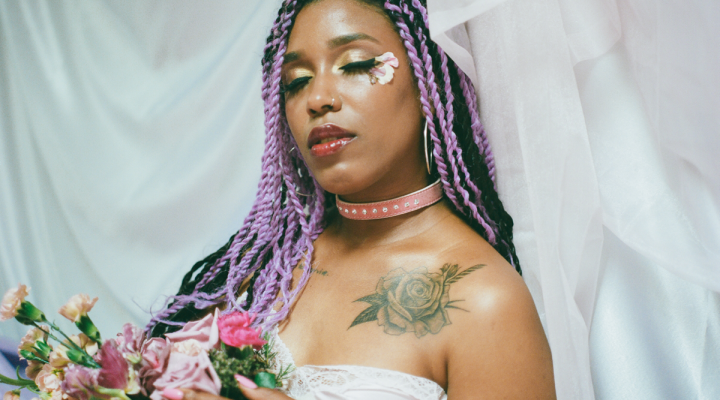 MHYSA plays 4 October at s105 (De School). Show free for members.